A few weeks back I put a post in a Facebook group, for other UK sellers, asking if anyone would like to swap store products. Sarah from All Things Paper UK replied and we arranged a swap. After that I noticed on her Instagram page that she was recruiting Design Team members, I send an overly long message as part of the “application process” and this Monday I found out I’d been successful. I am over the moon to be working with Sarah! What is a design team?? Well it is basically a few people selected by a business owner to show off their products, in this case it is Planner stickers. Once a month Sarah will send each member of her DT a set of her newest stickers and we all help to promote them on social media, it helps to drive sales for a small business as people use them in different ways, I have opted for a ECLP vertical kit and although I rarely do a “full layout” I use the kits for memory keeping and in my a6 UglyDori which has AnniePlansPrintable inserts in it. 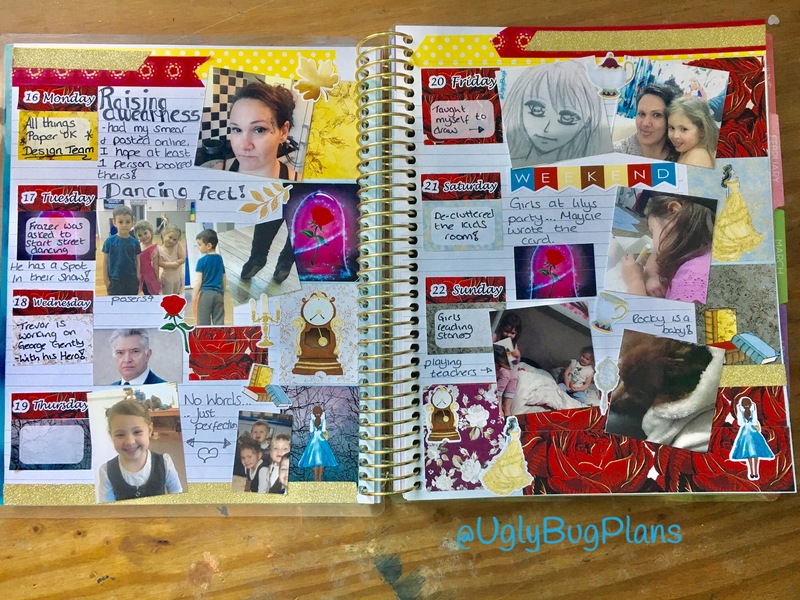 I received my swap from Sarah and knew I wanted to use this beauty and the beast inspired set right away so I used it in my memory planner. I have another kit that I will be using in the future… I filmed the unboxing and then add the process video to the end… to view that click HERE! 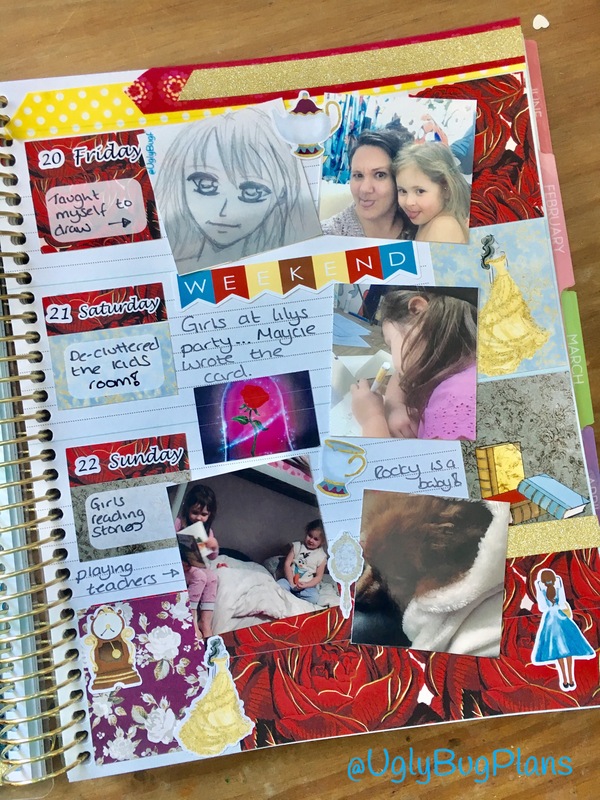 As soon as I scheduled this blog in I asked Sarah to write a few words about herself to introduce you all (I think you’ll be seeing more of her quite soon), this is what she had to say…..”I’ve always had a love of planning and stickers since being a little girl. 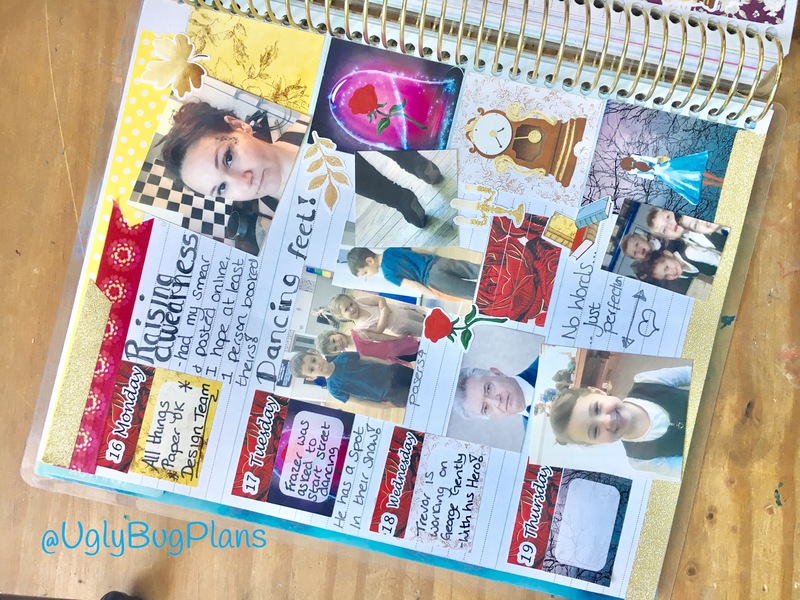 I opened up allthingspaperuk so I could share my love with other planner addicts like myself and so that I could work from home and spend time with my beautiful 3 boys. I work hard to ensure I bring my customers the best quality, on trend, products at a really affordable price.. every girl needs a pretty planner right?” – Sarah @ allthingspaperuk (Don’t forget to use Michelle15 for a 15% discount, her “full sets” like the one I use in these pictures/video are only £10 + £1 p&p for the full set).